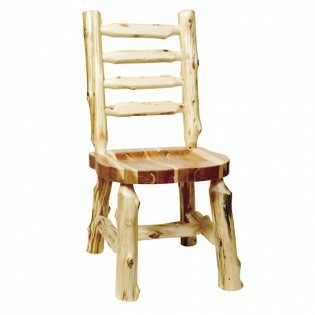 This traditional Ladder Back Log Side Chair with contoured seat will complement your log dining table and bring rustic elegance to your dining room. 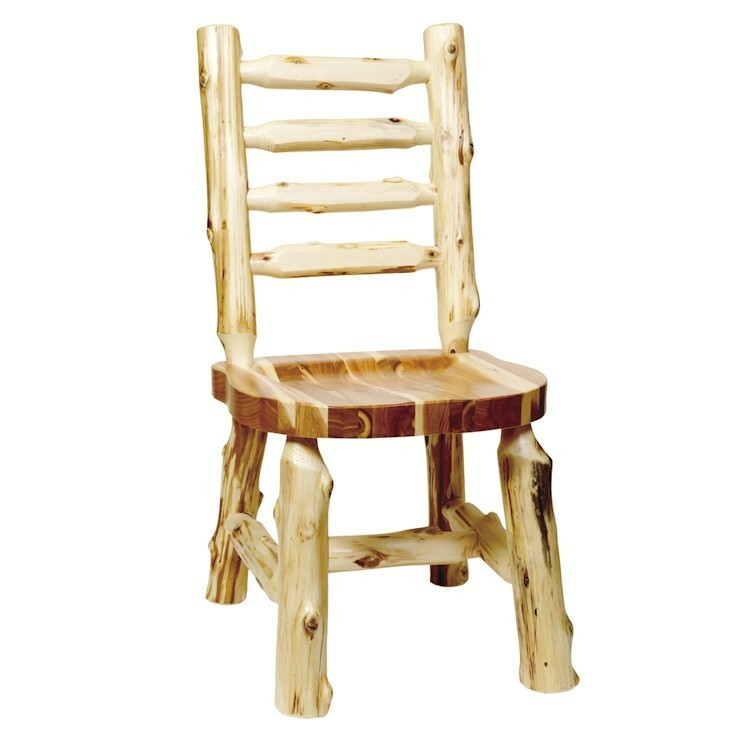 This traditional Ladder Back Log Side Chair with contoured seat will complement your log dining table and bring rustic elegance to your dining room. It is individually hand crafted, made of hand peeled white cedar logs and clear coated with a catalyzed lacquer finish for extra durability.